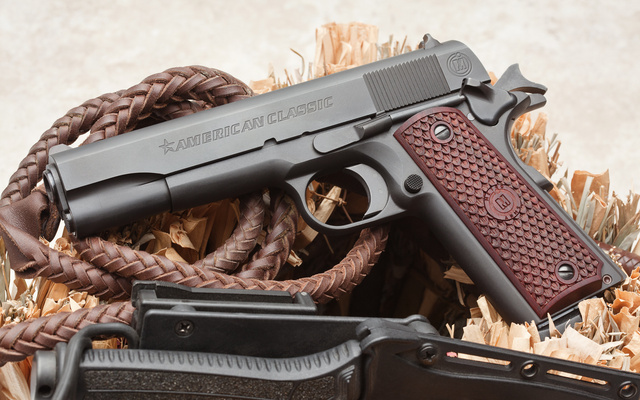 This entry was posted in pistol and tagged 45ACP, M1911. Bookmark the permalink. Shouldn’t those be called Philippine Classic? Still needs Double-Diamonds on the stocks! Still I prefer the modern updates m’self! Already got a 1911 (that one’s nice though), but can you show the rest of the knife, or tell me where to find it? That’s more like it. Though the purist would complain about the grip panels (easily enough changed).